Item 2013.6.36.1.002.024 - Mussenden Building in Vancouver, B.C. 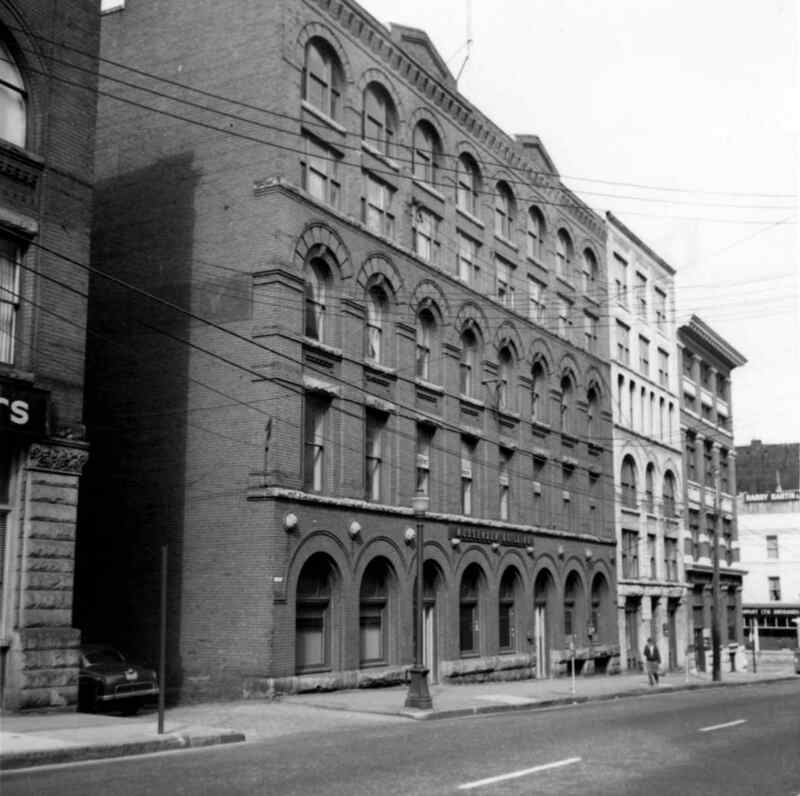 Mussenden Building in Vancouver, B.C. Photograph depicts the Mussenden Building used by the Hudson's Bay Company. It is located on Water St. in Vancouver, B.C. View is from the north side looking east.